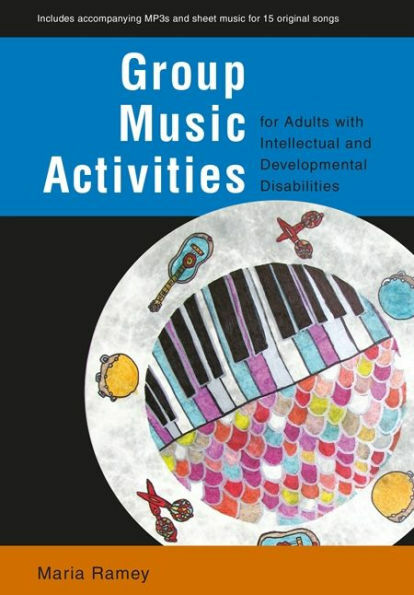 Musical games and activities can significantly improve the social, emotional, cognitive and motor skills of adults with intellectual and developmental disabilities. However, many music therapy resources are written with children in mind, and it can be difficult to find suitable age-appropriate activity ideas for adults. This versatile collection of 100 group music activities is the perfect sourcebook to provide insight to music therapists who are new to working with this client group, and inspiration to those familiar with working with adults but in need of fresh ideas. Each activity is developed in depth, with clear goals and instructions, and includes easy adaptations to suit a wide range of ability levels. With accompanying online downloadable content and sheet music, this book contains a ready supply of lively and original songs that can be used by practitioners of all musical abilities. With this practical and inspiring resource, music therapists, caregivers and other professionals working with adults with developmental and cognitive disorders will never be short of age-appropriate ideas again.